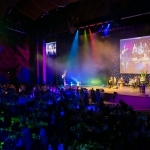 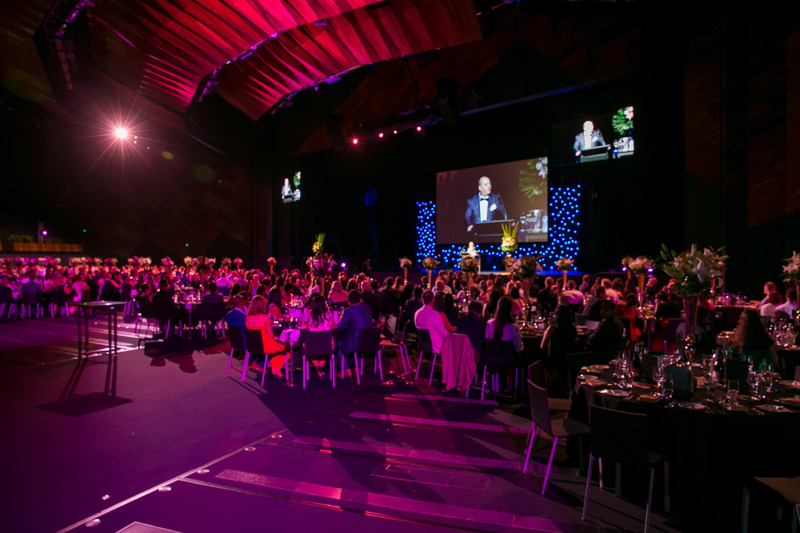 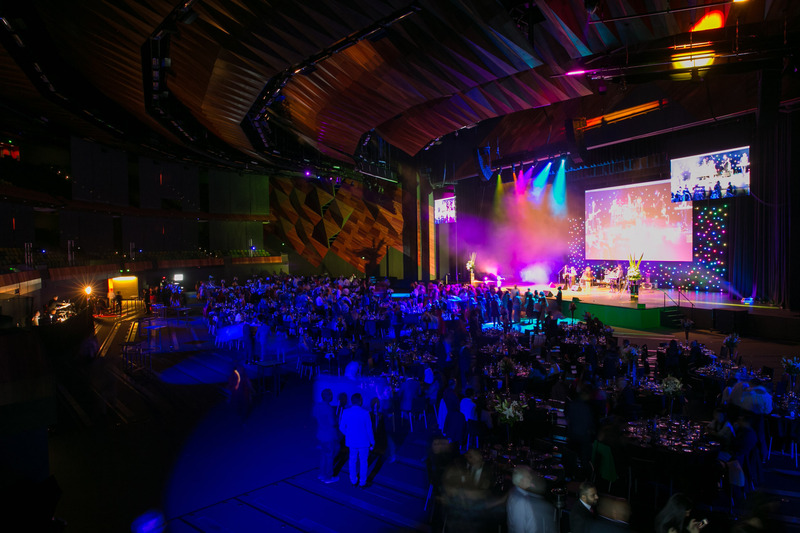 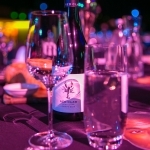 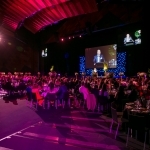 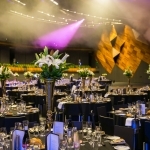 In 2017 one of Instinct’s longstanding clients, a large and very successful software company, again engaged us to run their annual gala event. 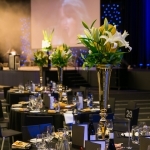 We suggested a Grammy Awards theme, and delivered a night packed with fun and barrowloads of glamour. 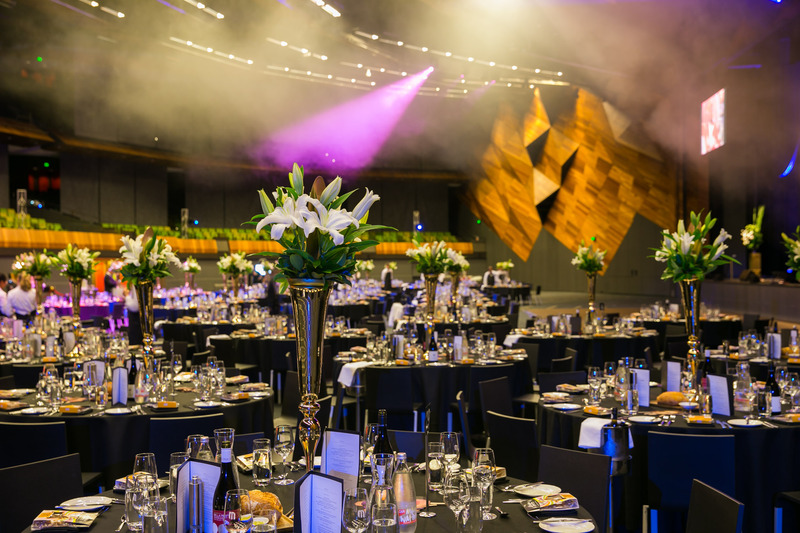 The Grammy Awards theme is a real winner for a corporate event: it provides a well-known format, demands the biggest, boldest and most unashamedly dazzling entertainment, and makes every guest feel like a rockstar! 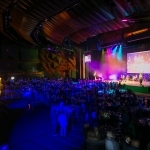 Instinct played up the edgy glitz of the Grammy Awards theme with smash-hit decor and roving ‘celebrity’ performers as guests arrived. 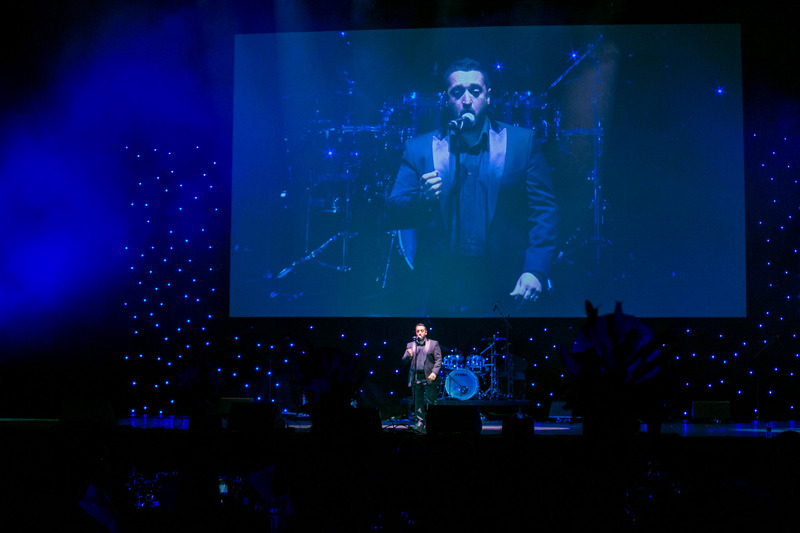 Our client chose two musical icons from our stable of winning impersonators to build guests’ initial excitement. 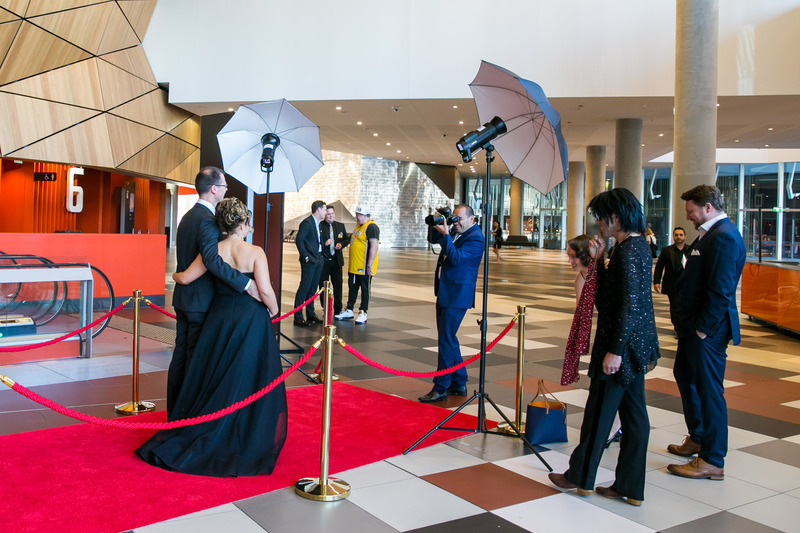 ‘Prince’ and ‘Britney’ offered selfie opportunities to remember, against a background of classic Grammys footage playing on the Plenary’s big screens. 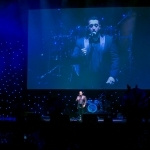 The video continued throughout the night between formalities and live performances. 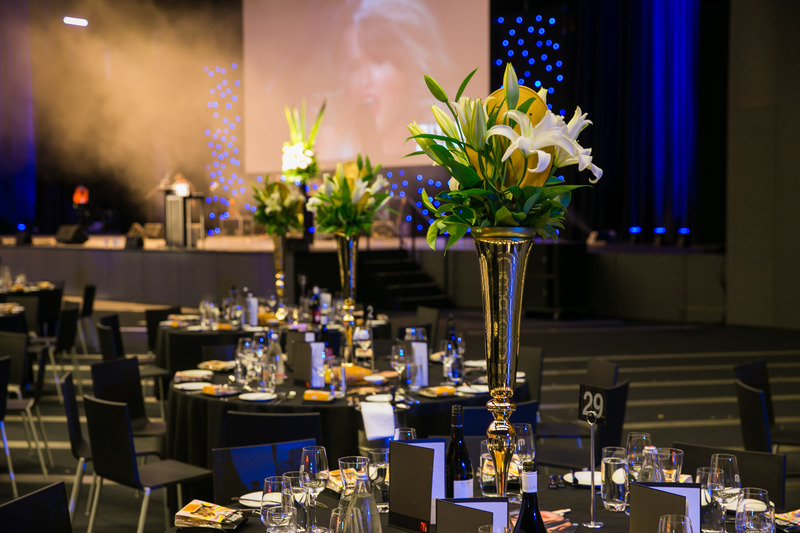 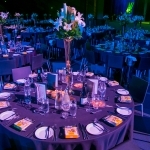 Instinct also styled customary awards-night round tables fit for the music industry’s big night itself, complete with big floral centrepieces and gold records. 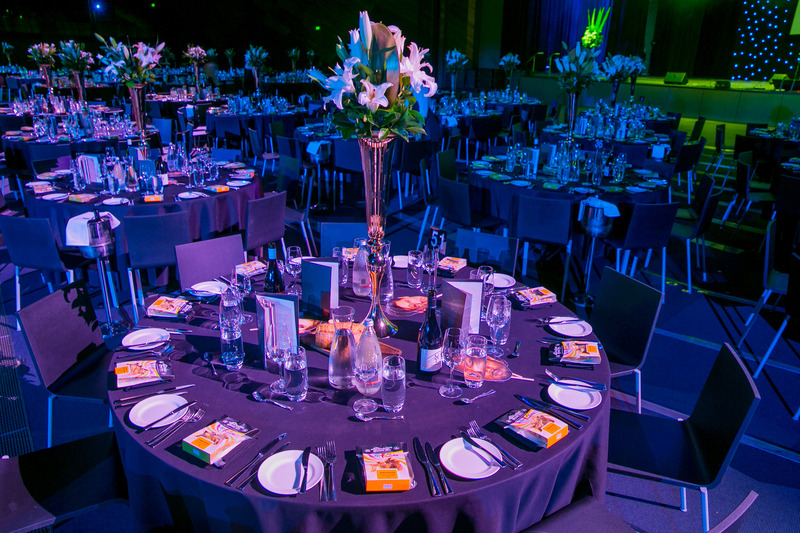 Plinths on the Plenary stage featured matching floral arrangements. 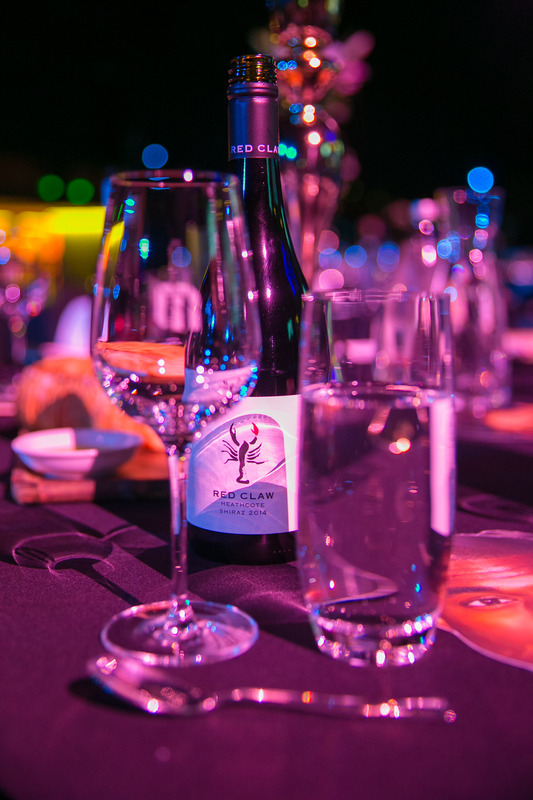 Want a ‘star’-studded night? 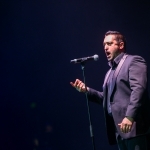 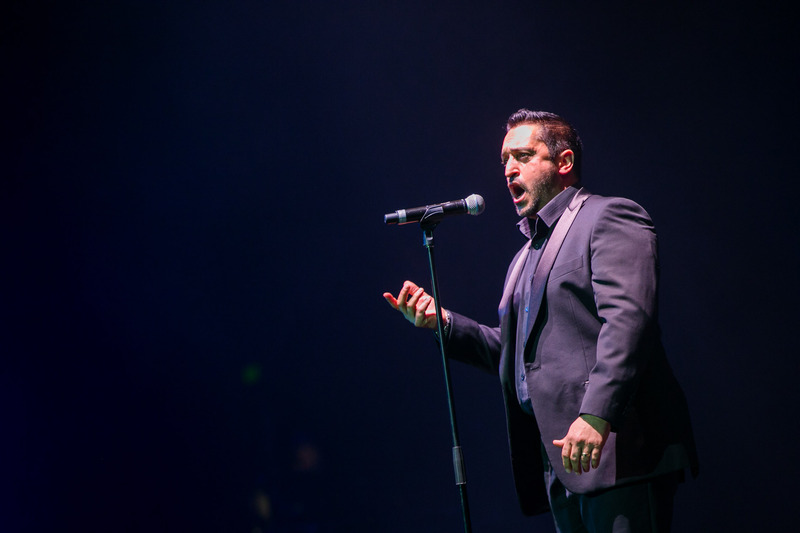 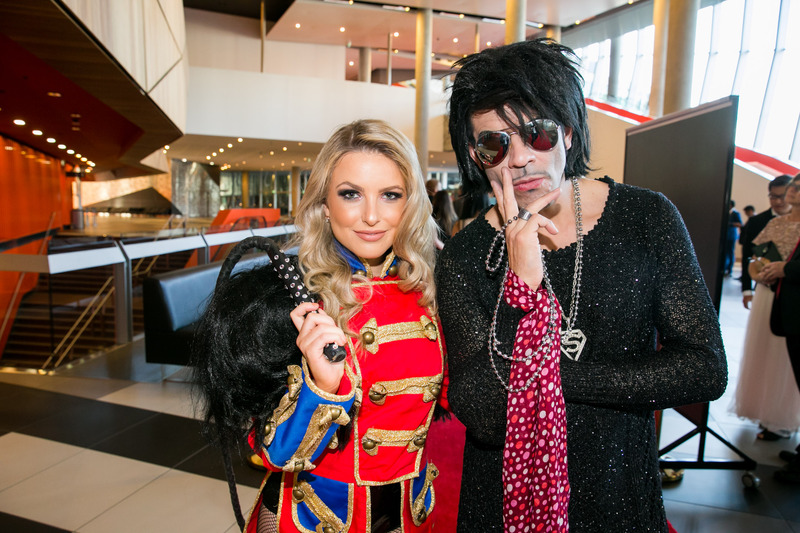 Instinct has a range of high-quality celebrity impersonators among our roving performers: not just Prince and Britney, but also Kylie, Michael Jackson, Robbie Williams, Lady Gaga and many more. 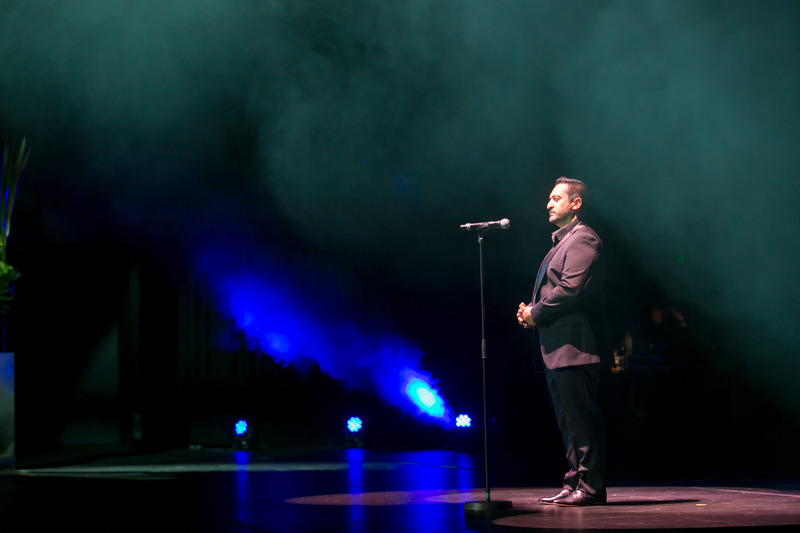 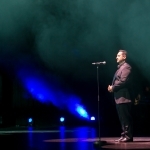 One of our client’s staff members happens to be a fantastic opera singer, who gave an outstanding performance to open the show. 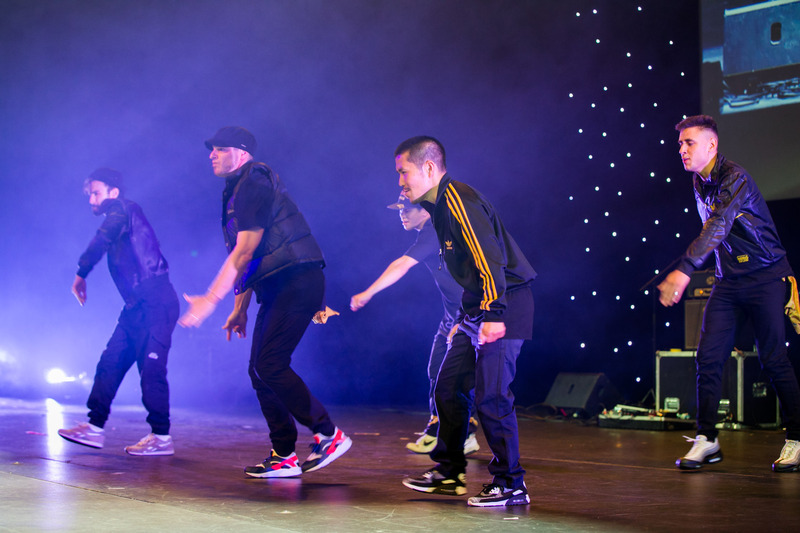 The crowd loved seeing ‘one of their own’ take the stage! 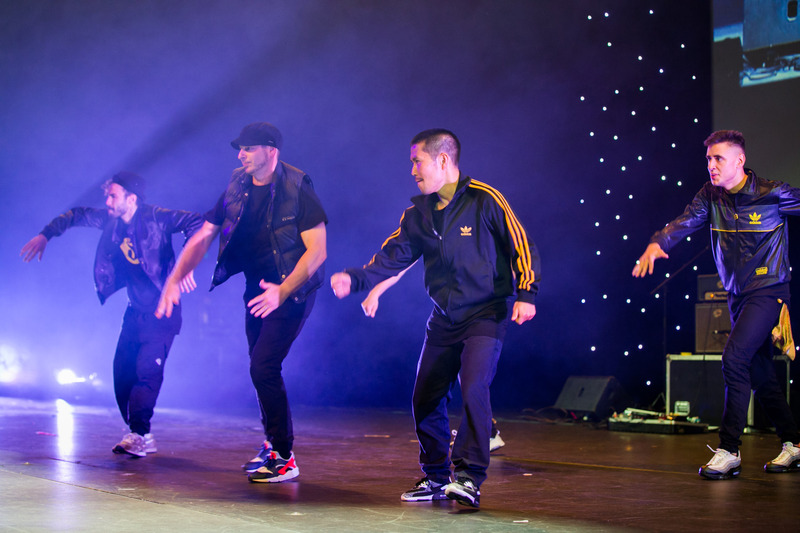 Next up, Instinct provided the Oz Girlz™, who knocked out the kind of big, spectacular number that you expect at a Grammy Awards theme event. 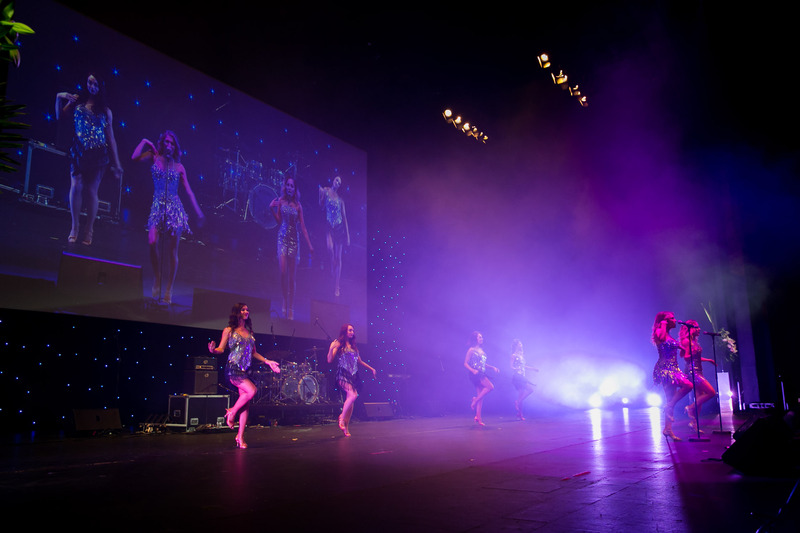 This all-singing, all-dancing glitterazi girl group had the audience in the palm of their hands. 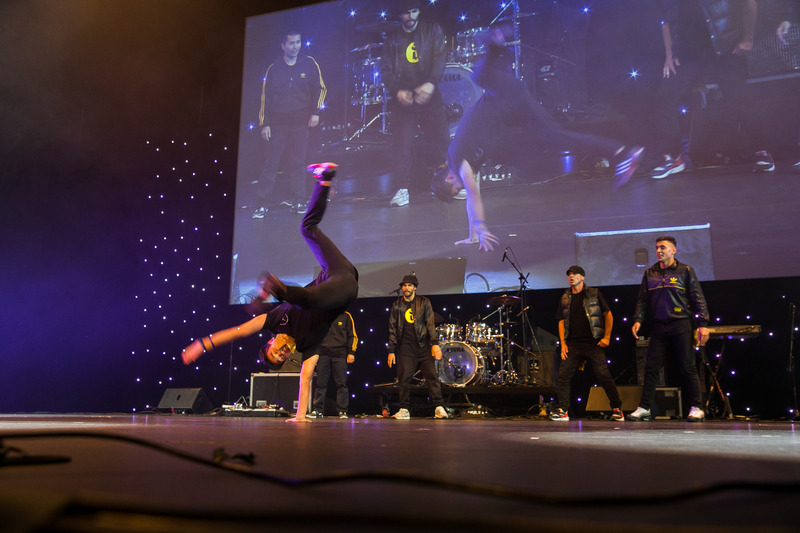 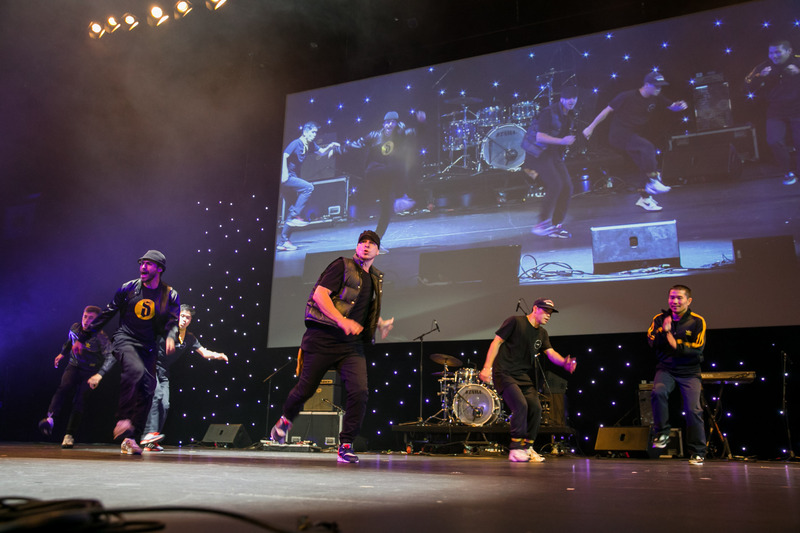 When Australia’s top break-dancing crew took to the Plenary’s big stage, they owned it for 10 minutes solid – popping, locking and shaking the house. 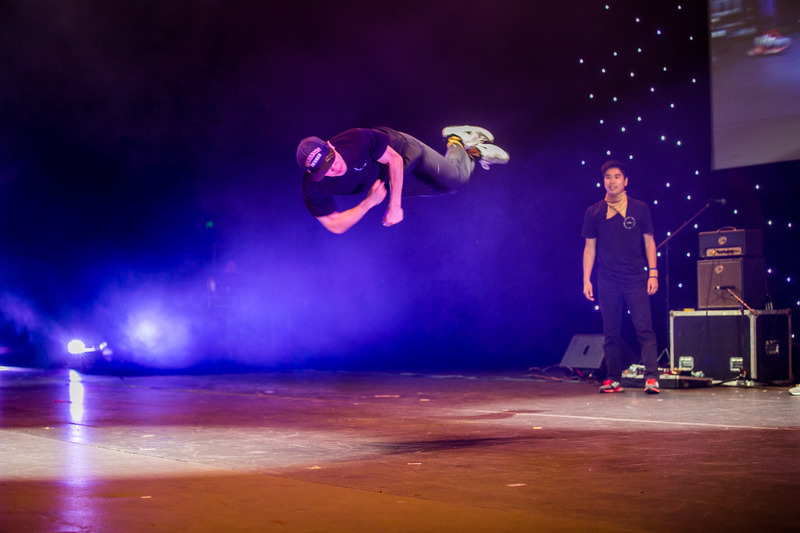 Wickid Force showed once again why they’re the considered the country’s best and most exciting break dance group! 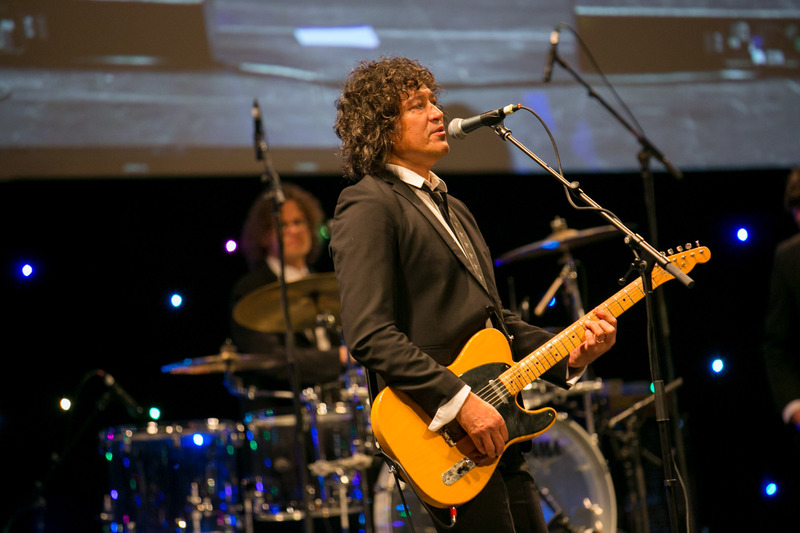 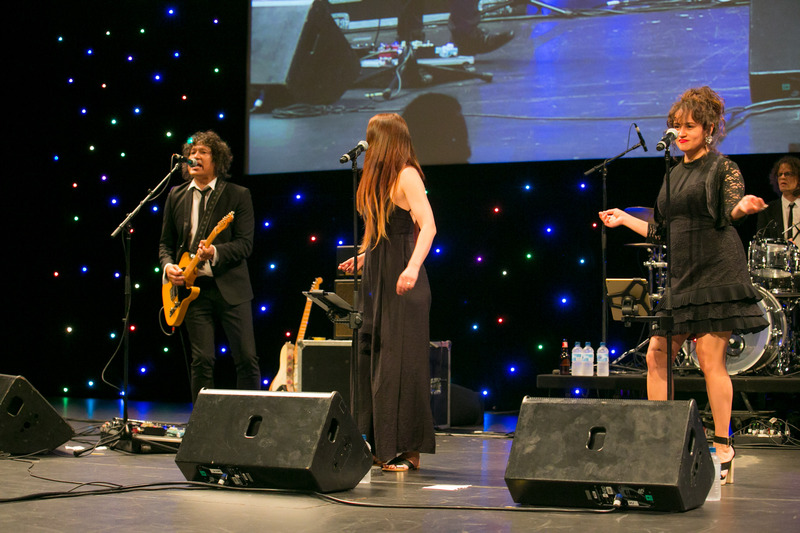 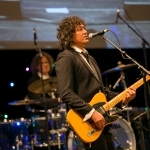 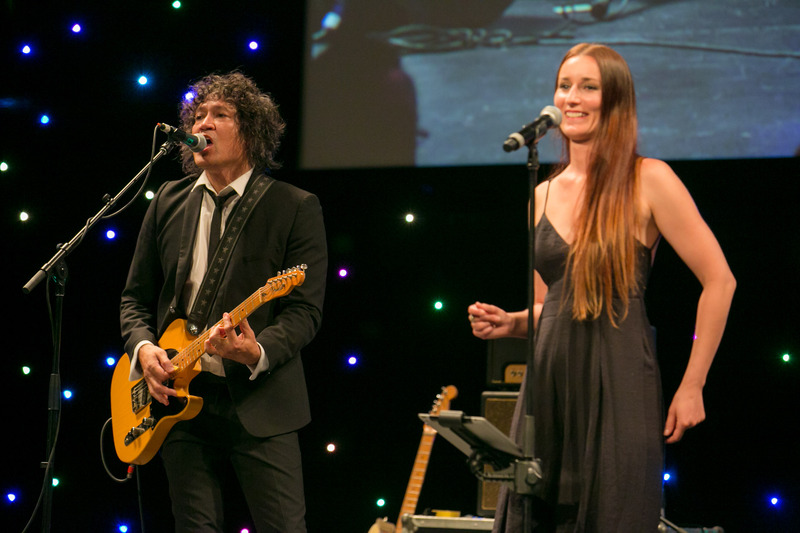 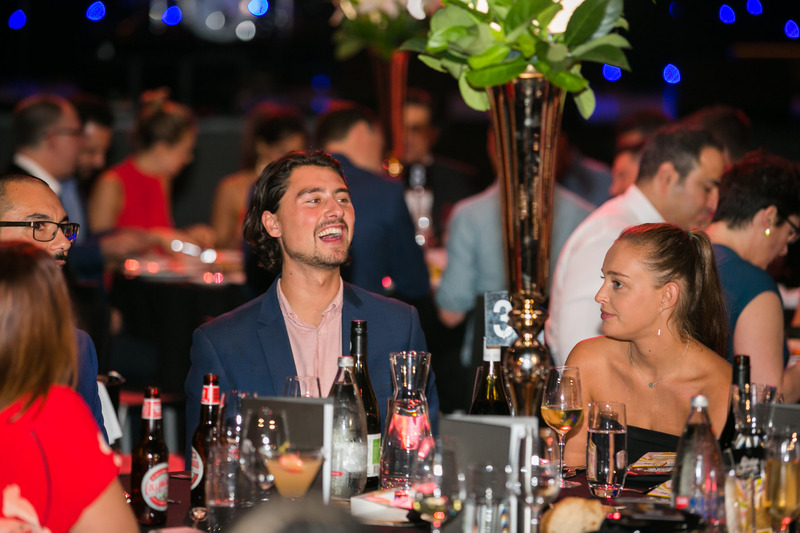 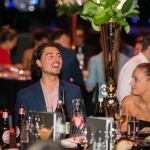 No self-respecting Grammy Awards theme event can have a dead dance floor, and Instinct’s SuperSound Band featuring Phil Ceberano made sure guests couldn’t help but be drawn from their feet to groove the night away! 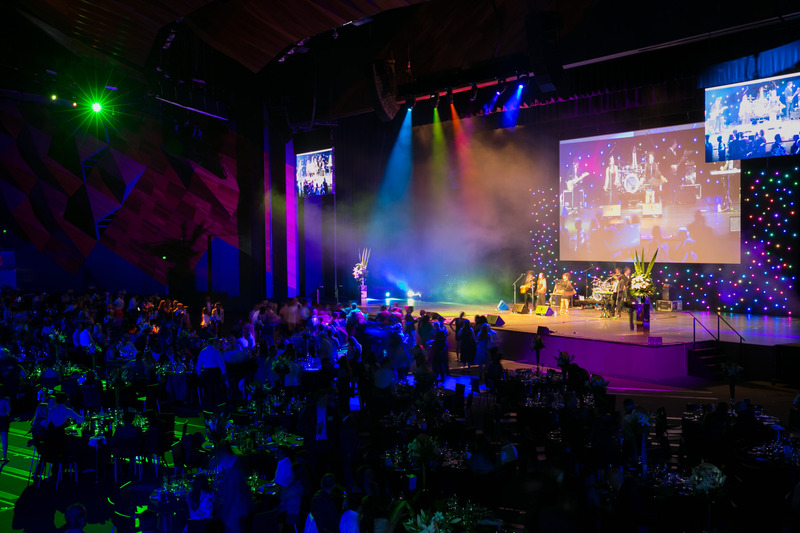 Cover band magic: A great cover band offers amazing bang for buck for corporate events and can cater to a range to musical tastes. 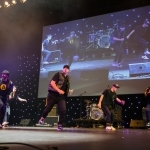 Instinct can offer a number of bands that are perfect for Grammy Awards themed event entertainment, including Chunky Jam, Stereo Stars, Forever 80s, Venus, Groove Star, JellyBean Jam and Hit Machine.